The cost of a college education is skyrocketing. Other than the purchase of your home, a college education will be a family’s largest expense in their lifetime. Is your family prepared to spend in excess of $100,000.00 for your kid’s college education? I’ve listed a few tips that will help ease the pain if parents become proactive in the process. Tip #1. Start the search for schools that are a good fit for your child. Find schools that offer maximum financial aid. Some are more generous based on their endowments. Start with a list of 20 to 30 schools and begin to research their aid history. Some schools will help more than others. A good place to start is with College Board’s website(www.collegeboard.com). Tip #2. Apply to schools at which your student has a good chance of being admitted. Grades and test scores should be in the top 25% of the application pool. The higher your students GPA, test scores and more importantly, community service attributes, the better chance of admittance and endowment scholarship consideration. Tip #3. Research the schools Merit Scholarship qualifications. Merit scholarships are based overall talents of your student. Family income is not a determining factor when qualifying for these types of awards. Tip #4. Always complete the Free Application For Federal Student Aid. You may be pleasantly surprised even if you are a six-figure family. If you don’t apply for FAFSA, you will be ineligible for any type of federal aid including student loans as well as many merit scholarships. Dan Evertsz, the College Money Pro, is the owner of College Planning Specialists located in Oakland, CA. For the past 17 years, he and his partner have helped of hundreds of families obtain financial aid from universities all across the country. 1. Insider strategies to access free money for college. 2. A proven road map to get all your children through college without depleting your nest egg. 3. How to easily put together a sound funding plan to pay for college. 4. Uncover practical and useful tools that allow parents to implement simple systems that produce consistent and sustainable revenue results. 5. Discover what every parent needs to know to relieve the stress of paying for college. 6. By implementing Dan’s sound and proven strategies, parents with college bound students can rest easy at night. As a registrant, you will be able to login and see the replay anytime, at your convenience, starting five business days after the live session. Senior partner at Bay Area College Planners, Dan Evertsz, has helped hundreds of working class families get funding for college. Over the last 32 years, Dan is known as an expert in the education arena. 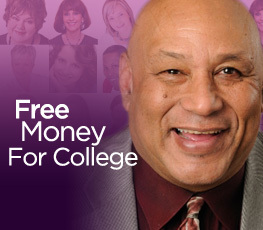 Dan Evertsz, The CollegeMoneyPro, delivers an engaging and information packed program that empowers you with the knowledge you need to easily fund and secure your child’s college education. Dan provides you with practical advice, future changing strategies and real life successes that will allow you to create a clear path to funding college. Every year, tens of millions of students and their parents struggle to complete the required FAFSA and CSS Profile forms. These forms are required if the family wants to receive financial aid. They ask for all kinds of personal, financial, and even religious information. It can be a very invasive process. What most parents don’t understand is that they are playing a Game conceived by the Federal Government and run by the colleges. Rarely do the colleges explain the rules in advance. In fact, this game is very much like a game of Poker. For most people, the first few times they play a game, such as poker, someone explains the purpose and the rules to follow. They are helped until they understand and can play on their own. After a while, the new player may attempt to learn how to play the game well enough to win more of the time. If the player is really serious, they will seek out books, articles, and software to sharpen their skills. The strategies they learn will give them confidence in their abilities and they will start to win more often. The College Financial Aid Game is different though. The rules of the game were created by Congress and the U.S. Department of Education. Each college gets to add in their own additional rules or change the rules to benefit that college. The game is aimed primarily at the parents. Where can they go to learn about the game? Playing this game means filling out the forms and pressing Submit. For most parents, there is only a once a year opportunity to play. This game as I have described it is a lot like poker. Your cards are actually your income and your assets. The higher cards in a poker deck such as the Ace, King, Queen, and Jack are the equivalent of higher income and assets. Lower poker cards like 2, 3, and 4 represent lower income and assets. In Poker, the hand with the highest cards at the end of the game wins all the time, except if you are good at bluffing. In the College Financial Aid Game, if the parents are holding high cards, they loose and the colleges win. The parents have to pay the colleges or will receive less in financial aid. If the parents are holding or appear to be holding the low cards, they win. That means that the colleges will offer them a great deal in terms of financial aid, and this will include grants and scholarships. The key to playing this game is knowing the rules and learning the strategies that will make you appear as if you have low cards. This means knowing how to appear as if your income and assets are diminished. The colleges do not play a friendly game. Their rules are tough. They are allowed to count your income and assets even in ways the IRS does not. For income, your Adjusted Gross Income is what counts. Your deductions and expenses are your problems. For assets, most are considered fair game. There are 153 different strategies that can be used to level the playing field for you. When playing their game, it is in your best interest to learn the rules of their game and to learn the strategies that will help you to win!